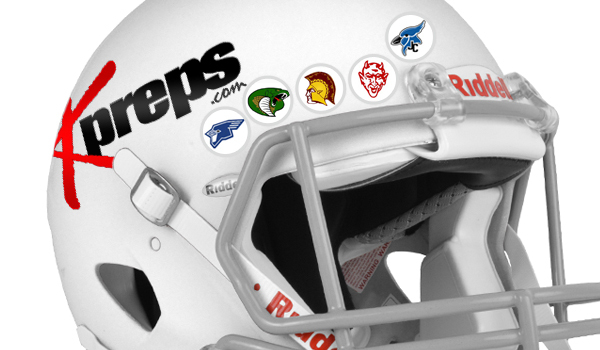 My sticker goes to the Dodge City Red Demons for their incredible comeback win at Hays on Friday. Dodge City scored all 34 of its points in the second half in rallying to beat Hays High, 34-33 on the Indians’ homecoming. Hays led 20-0 at halftime and 33-14 early in the fourth quarter before the Red Demons rallied for three consecutive touchdowns – the final score coming on a 65-yard hook-and-ladder pitch from John Johnson to Jaiel Johnson with 3:35 remaining. The Red Demons will try and take the momentum of this huge comeback into this week's Hatchet Game with Garden City. The Bluejays scored a late touchdown, the only score of the second half, to defeat Lakin, 18-14, in a key Hi-Plains League and Class 2A, District 7 game. Cimarron senior quarterback Dylan Harrison completed 3 of 12 passes for 68 yards with a 47-yard touchdown to Dylan Newton with 40 seconds remaining for the win. Cimarron had stopped Lakin on downs and then drove 81 yards in 71 seconds for the winning score. The 47-yard pass represented the longest completion of 2018 in the second year of the Greg Koenig era. Cimarron won its fifth straight after a season-opening loss to Elkhart and moved to 3-0 in district play, a game ahead of Lakin and Sterling, teams the Bluejays have both beaten. As well, senior Anthony Erives had 15 carries for 130 yards and a touchdown. Sophomore Tate Seabolt, the team’s leading rusher, has been banged up and delivered 15 rushes for 35 yards. Erives has delivered a breakout season with 629 rushing yards and eight total scores. Against Sterling two weeks ago, he recorded 249 rushing yards and four scores in a 74-19 victory. Additionally, Erives has stood out in the return game with 907 all-purpose yards with a punt return touchdown. Last season, he recorded carries in just six games behind since graduated Josh Seabolt, one of the state’s leading rushers with 1,592 yards, and Tate. Erives had 27 carries for 184 yards and two scores for the 7-3 Bluejays. Harrison has significantly improved the passing game with 23 of 50 passing for 422 yards with seven scores against no interceptions. Overall, Cimarron has averaged 8.9 yards per pass attempt with a 9/0 TD/INT ratio, along with 349 rushing yards a game and 7.8 yards per carry. Last year, Harrison completed 26 of 60 passes for 399 yards for 6.7 yards per attempt with a 4/5 TD/INT ratio. Cimarron, which also had since graduated Kansas State signee Jayden Pickle at fullback, averaged 330 rushing yards a game and 5.9 yards a carry. This fall, Cimarron has an average margin of 47-14 after an average score of 38-22 last year. The Bluejays have captured nine straight district games and are 11-1 in the last four years in district play. Shaw, the 2A state discus champion this spring and a Hillsboro linebacker, took his 6-2, 260-pound frame 87 yards with an interception return for a touchdown to deliver an important district victory over in-county rival Marion, 18-14. With the win, the Trojans improved to 5-1 while Marion fell to 1-5 on the season. If the Trojans take care of business against Leon-Bluestem this week, it will set up a district championship showdown with highly-ranked Olpe in Week 8. Jackson Heights (5-1) has consistently been a winning program with seventh-year coach Caleb Wick, including an 8-2 finish last fall. However, Wick set out to improve the Cobras’ strength of schedule this year to better prepare his team for postseason competition. Jackson Heights just complete a gauntlet of four talented squads and finished 3-1 with four straight standout defensive performances. After two straight blowout wins to open the year, the Cobras won at Maur Hill, 14-0. Then, in a marquee matchup, Jackson Heights lost to Olpe at home, 20-18. In the last two weeks, Jackson Heights held off Valley Heights (22-14) and Troy (8-7) in road games. The Cobras are 4-0 on the road. Maur Hill is 5-1, Olpe is 6-0, Valley Heights stands at 4-2, while Troy is 3-3 with three losses by a combined 16 points. When the teams don’t play Jackson Heights, Maur Hill has averaged 44 points a game, Olpe 40, Valley Heights 47 and Troy 25. Overall, Valley Heights ranks as the third-best offense in 1A. The Cobras have outscored teams 144-39 and rank second in Class 1A in scoring defense to Olpe’s 38 points permitted. Jackson Heights has played the No. 10 strength of schedule in the 31-team classification, according to Prep Power Index. Last season, Jackson Heights had the No. 21 SOS out of 35 squads. Two years ago, it was the No. 25 SOS out of 35. In ’15, Jackson Heights went 8-2 but had the fourth-weakest SOS in a 39-team classification, and in ’14, the Cobras had the seventh-worst SOS out of 40 squads. My sticker this week goes to the Junction City Blue Jays for their 9-7, upset win over rival Manhattan to reclaim the Silver Trophy for the first time since 2015. The Blue Jays used an opportunistic defense and scored on a Russell Wilkey 5-yard touchdown run on the first play of the fourth quarter to upset the Indians. Junction City's defense shut down a Manhattan offense that entered the game averaging nearly 40 points per game. On the flip side, the Blue Jay defense had surrendered 35 points per game during the first four weeks, but have since given up only a short Kevontae McDonald touchdown run in the second quarter. The Blue Jays intercepted four Manhattan passes – all inside the Blue Jay 10-yard line – to help preserve the victory. Junction City senior safety Aaron Hamilton picked off three passes in the game. This has been an incredibly close rivalry in recent years with nine of the past ten meeting having been decided by single digits. Junction City has now won four of the past seven meetings in the series.